On April 5th, 2018, John William Newton Fincham, our beloved Daddy, Pop and Great-Pop went home to be reunited with his wife and other family members who have gone before him. 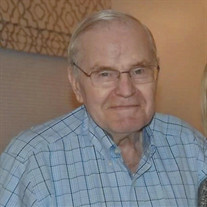 He is survived by his son Kermit Fincham and his wife Dianna, his daughter Connie Ann Baker-Gannon and her husband Thomas Gannon, his sisters: Arlene Lanham and her husband Wink, Sharon Bonnett, Charlotte Carr and her husband Rodney, his brother Truman Fincham and his wife Nancy; six grandchildren: Christy Flora and her husband Steven, Mindie Fincham, David Fincham, Stephen Fincham, Melissa Baker and Justin Baker and his wife Laurie; and five great-grandchildren Hannah Woolford, Madison Flora, Cora Ann Baker, Dylan Baker, Reid William Baker and Charlie Ann Lanagan. He is also survived by his prior son-in-law Charles Baker, Jr. and Judy Smith whom is also known as his adopted daughter. John was born in Mill Creek, West Virginia, to coal miner Kermit Quinton Fincham and his wife Flora Emeline Wegman on November 18th, 1931. He was married for 62 years to the late Bessie Fincham, who preceded him in death in 2016. He learned his trade as a mechanic in the U.S. Army, and after working for Valley Protein in Curtis Bay for 42 years, he retired as a dedicated truck maintenance supervisor. A deeply religious man, he was the oldest member of Granite Baptist Church in Glen Burnie, where he attended for 55 years. He had a special talent for building things and loved working in his backyard shop making furniture.